What to do in Napa, CA? Okay, so if wine tasting and visiting wineries isn’t your thing, head to downtown Napa where amongst other things you will find Antiques on Second. This is such a fun place to hunt and shop and you will no doubt be surprised by the shop setup and the many goodies inside. Antiques on Second is a multi-dealer Antique shop and although has under 50 booths it has a great selection of vintage clothing, vintage accessories, lots of vintage linens, Asian items, jewelry, furniture, figurines, collectibles, salt and pepper shakers, paintings, garden related items and so much more! We spent over an hour in this shop and the staff was really friendly and knowledgeable, the shop is clean and really well setup, booths are merchandised really nicely too. I chatted with one of the staff and Antiques on Second and this shop is the last remaining Antiques shop in downtown Napa. 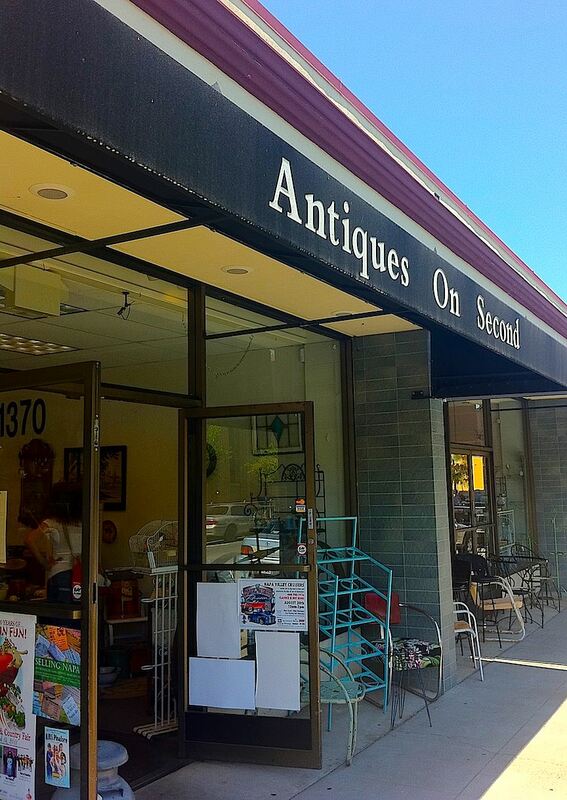 So, for those of you that love California wine country especially the Napa Valley….. you can certainly enjoy the large selection of antiques and collectibles downtown Napa has by visiting Antiques on Second. Prices are very fair too!! We sure had a lot of fun.